Please fill out as much of the information below as possible. The fields with bold titles are REQUIRED. Head Coach Twitter Name There is a separate field for your team's twitter name. Please list any changes you've made to your stadium in the last year. Ask your campus tech person to clear [email protected] and [email protected] on your campus e-mail system. Team website If your team has its own separate website, enter it here. Team twitter If your team has a twitter account, enter it here. Offensive Coordinator If your team does not have an OC, just put "N/A". Defensive Coordinator If your team does not have an DC, just put "N/A". Please note any "Verbal" commitments. What do you expect to be your team's biggest strength this season? What do you see as your team's biggest concern this season? List all previous head coaching & assistant coaching experience. Note program, # of years, & win-loss record (Head Coach only) for each location. Also list previous assistant coaching jobs. List any state titles you've been a part of as a head coach, assistant coach, or player in any sport. High School This is the high school you graduated from. College/University This is the college or university you graduated from. What has been your most exciting moment or game in your coaching career? Are your football games broadcast on the radio? Please list the station's call letters, frequency, & contact person (if available). I am always looking for a great human interest or unique story, please share that information with me. 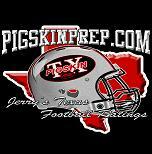 What is the biggest challenge facing Texas High School Football right now?